The median price of units and townhouses across South East Queensland grew over the December quarter, according to the Real Estate Institute of Queensland (REIQ). The REIQ’s latest Queensland Market Monitor (QMM), released 28 February 2014, also found the preliminary numbers of unit sales increased six per cent over the year. REIQ CEO Anton Kardash said the unit market was continuing to improve in-line with the house sales market – albeit centred around the southeast corner. “A key difference between the Queensland house and unit markets is that predominantly the lion’s share of these types of properties are located in the southeast as that is where demand for housing is the greatest,’ he said. The most sales where in the Brisbane CBD, followed by New Farm, Nundah and St Lucia. 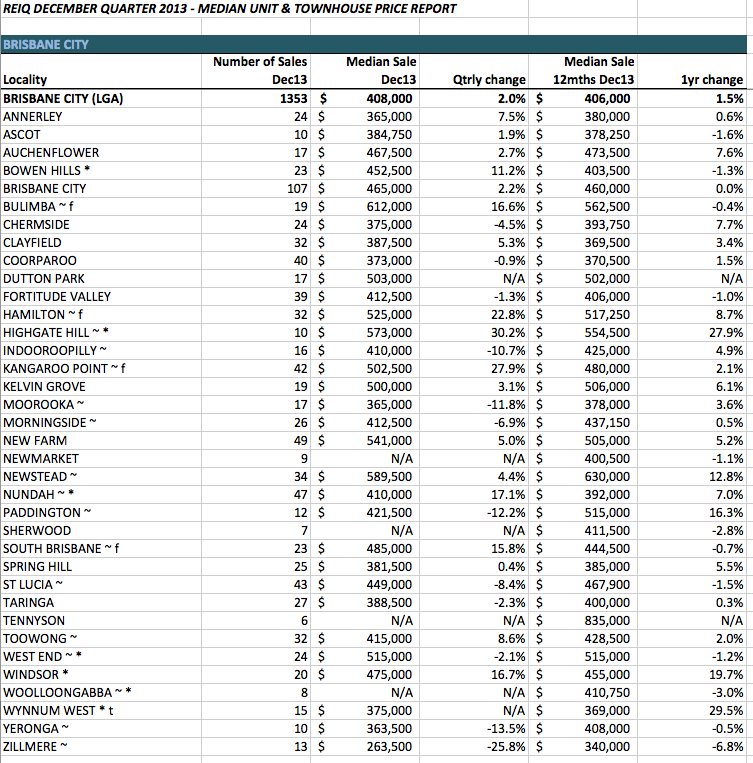 The largest one year change to the median price were in Wynnum West, Highgate Hill, Windsor and Paddington. The worst performing suburbs were Northgate and Kedron.